Novelist Gina Holmes didn’t have flood insurance on her Roanoke, Va., home because she lives on a mountain, nowhere near a body of water. And then came the storm. "We got so much rain, one of our wettest on record," she says of the July deluge. "Water seeped through the walls, overpowered the sump pump and came in under the basement door." "Our floors and walls were soaked. The water had risen in the basement three to four feet high," she says. Holmes lost $20,000 worth of furniture, electronics and other items, and paid thousands more for cleanup. Because she wasn't insured, Holmes will have to replace what she lost slowly, over time. Unfortunately, her story isn't unique, but it illustrates why everyone — whether you live in an area prone to flooding or not — should consider flood insurance. Our 6 facts will help you sort out how to find out if this type of coverage is right for you. Fact 1. Your homeowners insurance won't help. Flooding is the most catastrophic natural hazard in the United States. On average, it causes nearly $3 billion in damage annually. And every year, thousands of families are shocked not only that such a catastrophe could happen to them but that their regular homeowners policy doesn't cover flood damage. You need special insurance that you can't rush out and buy at the last minute. 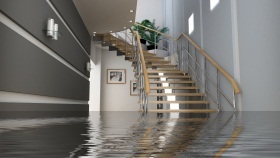 Unlike other policies, flood insurance doesn't start protecting you right away. There's a 30-day waiting period. Fact 2. It's easy to assess your flood risk. Checking the flood risk for your home — or one you’re about to buy — takes less than a minute on a government website. The "One-Step Flood Risk Profile" on FloodSmart.gov can help you assess your property. In the box "How can I get covered?" located on the home page, enter an address, city, state and ZIP code. If your home is located in a high-risk area and you have a mortgage, federal law requires you to buy flood insurance. There is some controversy over the accuracy of these maps, which can impact how much you pay or whether you're required to purchase a policy. Fact 3. Low risk doesn't mean no risk. Just because you aren’t required to buy flood insurance doesn’t mean you don’t need it. Homeowners in lower-risk areas file more than 20% of flood insurance claims and receive one-third of disaster assistance for flooding, according to the government’s flood insurance website. Flash floods, snow melt and winter storms are sources of flooding that many homeowners overlook. If you live in an area that can experience hurricanes, even if they aren’t common, it’s prudent to get flood insurance, even if flood maps say your risk is minimal. Just ask any homeowner who was affected by Hurricane Sandy in 2012 or Irene in 2011. "I am sure that quite a few Northeasterners who said 'never' got a nasty surprise when their houses filled with water from the storm surge," says Kristofer Kirchen, who has been an independent insurance agent in Florida for 15 years. Kirchen’s advice to homeowners considering buying optional flood insurance: "If you can afford it, by all means buy it." Fact 4. Flood maps might not tell the whole story. Flooding risks change over time, so your property might be in a high-risk area without your knowing it. Another possibility is that your low-risk property is extremely close to a high-risk area. "If you are in zone X, the low-risk flood zone, you may have no idea if you are a mile from the nearest high-risk area, or if it is right at your doorstep," says Chad Worms, owner of St. Cloud, Minn.-based Second Look Flood, a company that helps homeowners understand their true flood risk. You can find out how much risk you face by looking at the flood insurance rate map for your neighborhood, Worms says. You can see this map by contacting your city planning department, or you can hire a private company to do the research for you. Second Look Flood charges $25 for this service and provides a 24-hour turnaround. However, because FEMA maps the flood risk for the entire United States, some communities still use flood maps from the 1970s, which may not accurately reflect present-day conditions. Find out what year your community’s flood map was most recently updated to get a sense of how accurate it is. Fact 5. The federal government provides coverage. To protect yourself against flood damage, you’ll need to turn to the National Flood Insurance Program. 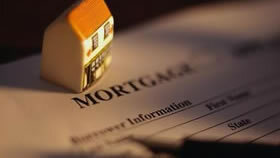 This federal undertaking provides homeowners with structural coverage of up to $250,000 and contents coverage of up to $100,000. Structural coverage protects you against damage to the building, foundation, electrical system, plumbing, central air conditioning, carpeting, furnace, water heater, refrigerator, stove and other built-in appliances such as dishwashers. It does not cover mold, mildew or moisture damage you could have prevented; decks, patios, walkways, landscaping, fences, swimming pools or hot tubs; temporary housing expenses; business interruption losses; and automobiles. It also doesn’t cover the acreage your home sits on. Contents coverage protects you against damage to clothing, furniture and electronic equipment; curtains; portable and window air conditioners; portable microwaves and dishwashers; clothing washers and dryers; food freezers and their contents; and high-value items such as artwork. However, you’ll only be reimbursed for the items’ actual value at the time of loss, not the amount it will cost to replace them with comparable new items. Contents coverage also won’t replace your currency, precious metals or valuable papers. Coverage for both the structure and contents of crawl spaces and basements is even more limited. It doesn’t protect you against damage to paneling, bookcases, window treatments, floor coverings (such as carpets, rugs and tile), drywall or most personal property. Because of these exclusions, even if you have flood insurance, you should still have an emergency fund of three to six months’ worth of living expenses that you can rely on if the worst happens. Get all the right insurance when buying a home: There are three types of insurance you might be required to buy and several other optional products. Follow our advice on what you need and what kind of protection you'll receive for the money you pay. Fact 6. You can't shop for a deal. Homeowners can purchase flood insurance at a fixed rate through any of 85 government-approved companies. The policy will cost the same no matter where it’s purchased because the government sets flood insurance rates. The federal government — in other words, the taxpayer — is financially responsible for flood insurance claims, but private insurance companies issue policies, calculate premiums and manage claims. The rate homeowners pay for flood insurance depends on the flood risk where the home is located and the home’s age and construction type. It also depends on how much coverage you purchase and what deductible you choose. Deductibles range from $500 to $5,000. Structural and coverage policies each carry their own deductible. If you purchase both types of coverage, make sure you can afford the combined deductible. In a low-risk area, the maximum coverage of $250,000 for the structure and $100,000 for your contents costs $412 a year. Premiums are slightly higher if your home has a basement. The same coverage in a high-risk area costs $3,289 — and that’s with a $2,000 deductible. If your structure is worth more than $250,000, you’ll need to purchase a second policy called "excess flood" to get full coverage. "This policy would pay for flood losses exceeding the maximum limits afforded by the standard flood insurance policy," says Kirchen. "Premiums are generally pretty reasonable, since the company is not exposed to first-dollar loss." Companies that write excess flood may also offer insurance for homes that aren’t eligible for NFIP coverage. Don’t rely on federal disaster assistance. It isn’t free money; it’s typically a loan that must be repaid with interest.